Self-care is one of the most fundamental and practical bits of advice we offer our patients in the NHS, during any conversations or consultations, however the advice and guidance given varies between each individual and relies on individuals to have access to the right information to pass on. North Tyneside CCG feel we are obliged to try to educate our patients and encourage alternative means of care during the current financial climate. 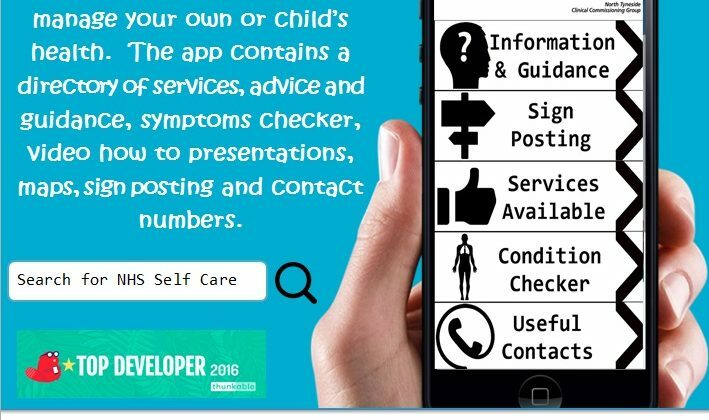 Having a mobile application with advice and guidance and local information in one place such as GP/Pharmacy locations and contact information will enable patients and carers to make a more informed choice when seeking advice or treatment.